Selldorf Architects, Atlas Capital Group, Square Mile Capital and CORE have officially launched the sales of 42 Crosby, a 50,000 sq ft condominium located in the heart of Manhattan’s SoHo district. Selldorf Architects, founded by world-renowned architect Annabelle Selldorf, is known for culturally relevant and architecturally refined projects, such as the Neue Galerie in New York City, the Clark Art Institute in Massachusetts, John Hay Library at Brown University in Rhode Island, and many others. With unit prices starting at $8,250,000, and a penthouse worth $25M, the property will include 10 residences within the 7 floor building. 42 Crosby’s scale matches its surrounding neighbourhood, mirroring the height and massing of adjacent structures. 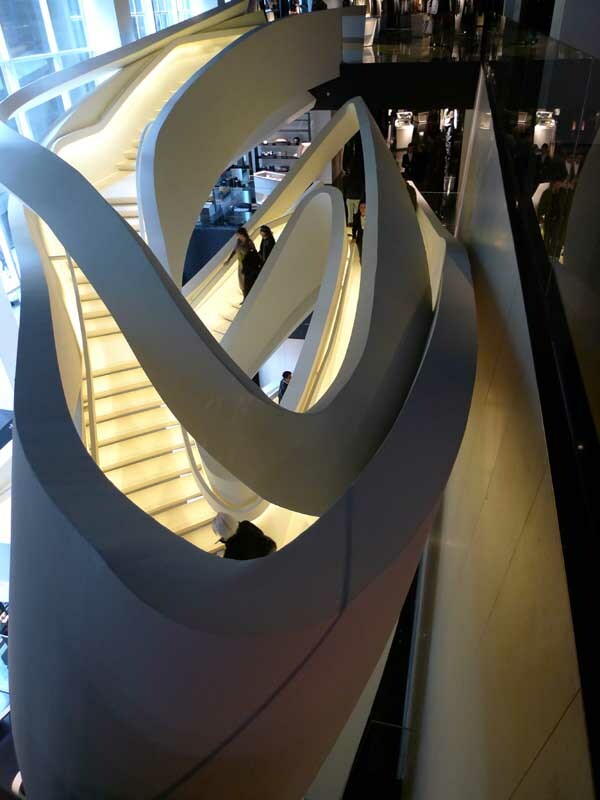 The design offers a contemporary interpretation of the SoHo neighborhood’s cast iron architecture, articulating traditional characteristics such as uniform composition, column and spandrel vocabulary, and prefabricated construction in a highly modern tone. “The luxury of 42 Crosby stems from the refinement of the details and the comprehensive totality of the palette. The support from Atlas Capital Group and Square Mile enabled us to build something that fully embodies our design vision as a firm without having to make certain compromises that could lessen the integrity of our fundamental vision and, in turn, the sophistication of our final product,” said Annabelle Selldorf, Principal at Selldorf Architects. The meticulous attention to each design detail of 42 Crosby reflects the exceptional level of refinement seen throughout the property. 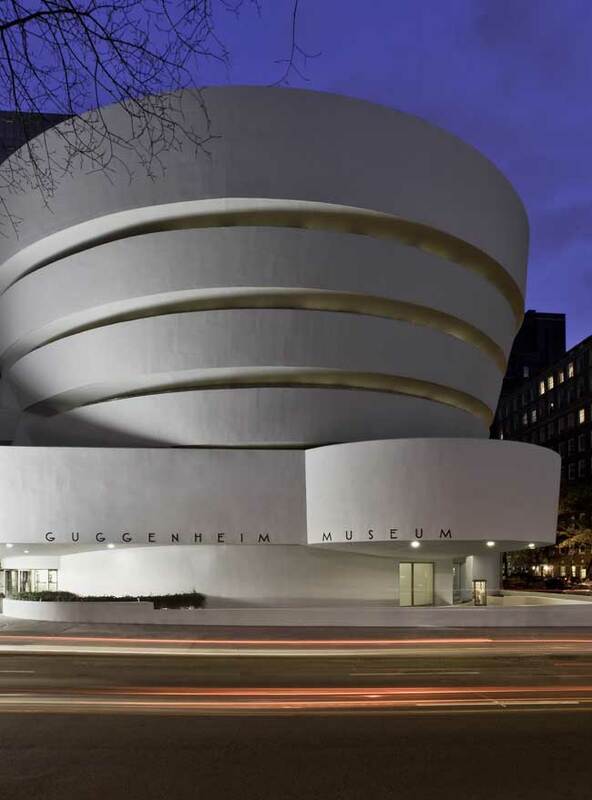 Exterior materials—stainless steel, brushed aluminium, metal mesh, and exterior shades—are layered to echo the depth and texture of the surrounding historic cast iron facades. The subtly reflective materials respond to ambient light, varying in tone and shade in concert with temporal and seasonal shifts. The design of the façade creates living spaces with higher ceilings, generous open space, and exceptionally large windows and sliding doors which open onto private Juliet balconies. 42 Crosby’s state-of-the-art window shading system is an innovative and energy-efficient component of the design, mitigating solar gain and significantly reducing heating and cooling costs. Shades are mounted on the exterior of the building and will automatically raise and lower in response to exterior temperature and lighting conditions, ensuring overall building efficiency. Tenants will be able to control these shades independently as desired. 42 Crosby consists of nine 3-bedroom residences and a penthouse. 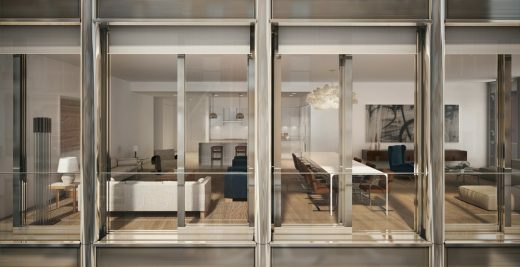 The property holds a rare New York City amenity—a porte cochère for residents, enabling them to enter the lobby from a private entrance away from the street, ideal for residents who value their privacy, coupled with a 10-space underground parking garage serviced by vehicle elevator. Buyers will also enjoy oversized in-building storage space as an added benefit to their purchase. The interior materials—Nordic ash, Italian marble, stainless steel, and poured terrazzo—are of the highest quality, and create a visually quiet palette. The units will include kitchen appliances exquisitely designed by Gaggenau, Boffi countertops, islands and cabinetry, as well as LG washers and dryers. 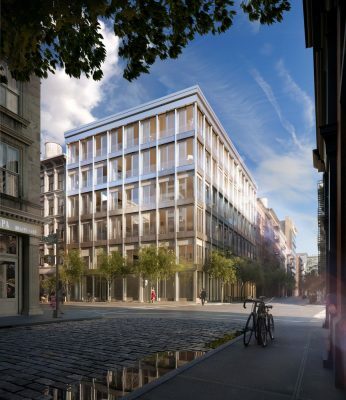 “There are very few luxury boutique buildings in SoHo; I expect 42 Crosby to be the best in that category, and I’m confident it will set a new bar,” said Shaun Osher, Founder and CEO of CORE. The integration of landscape is a key element of the design, and when complete, 42 Crosby will house a courtyard with a fully mature Norway Maple tree, which was recently airlifted into its new and final home. The porte cochère contains a green wall, and the building lobby will contain site-specific terrarium gardens and sculptures by renowned artist Paula Hayes, visible to the public and a striking visual amenity for residents. 42 Crosby will be a celebrated visual addition to the historic SoHo neighbourhood, embracing its landmarked neighbours whilst expanding the boundaries of sophistication and building technology to create a wholly unique and contemporary residential building. 42 Crosby Street can be previewed at 42 Crosby, as well as at the in-building model units located at 42 Crosby Street. Viewings by appointment: +1 212-726-0751.